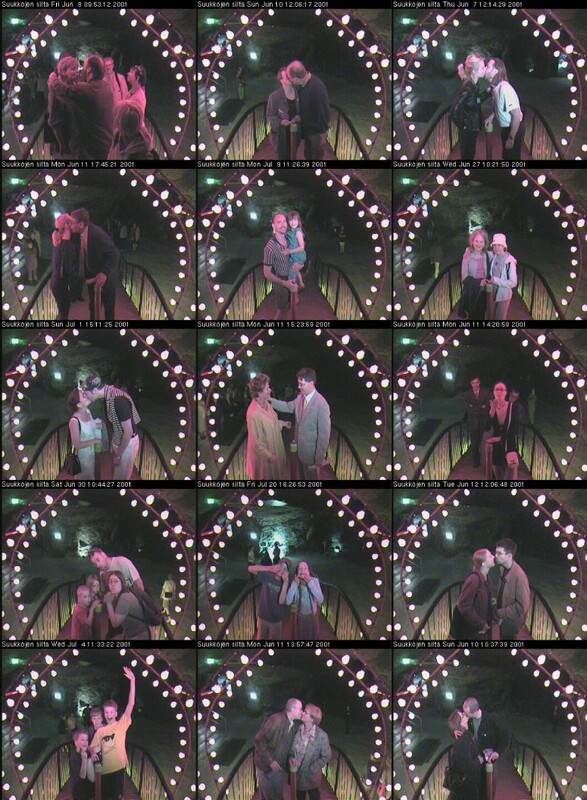 Interactive Media installation for kissing. 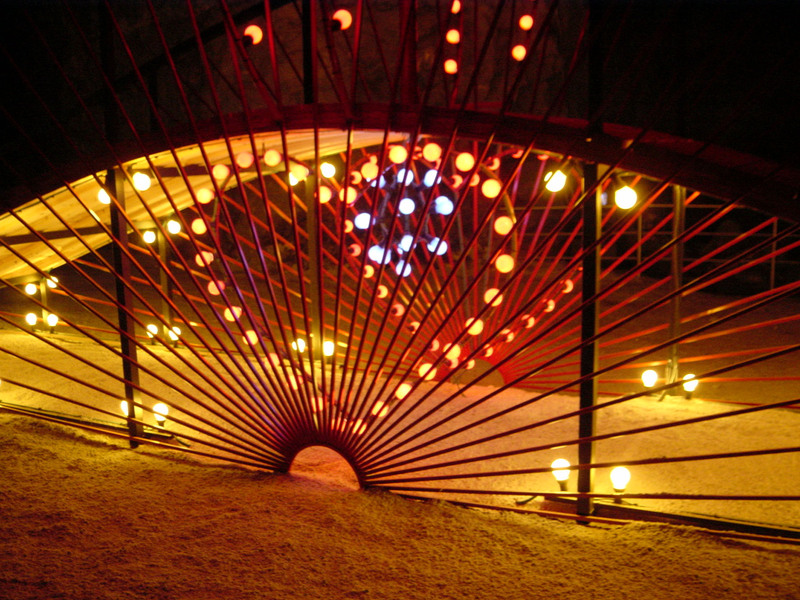 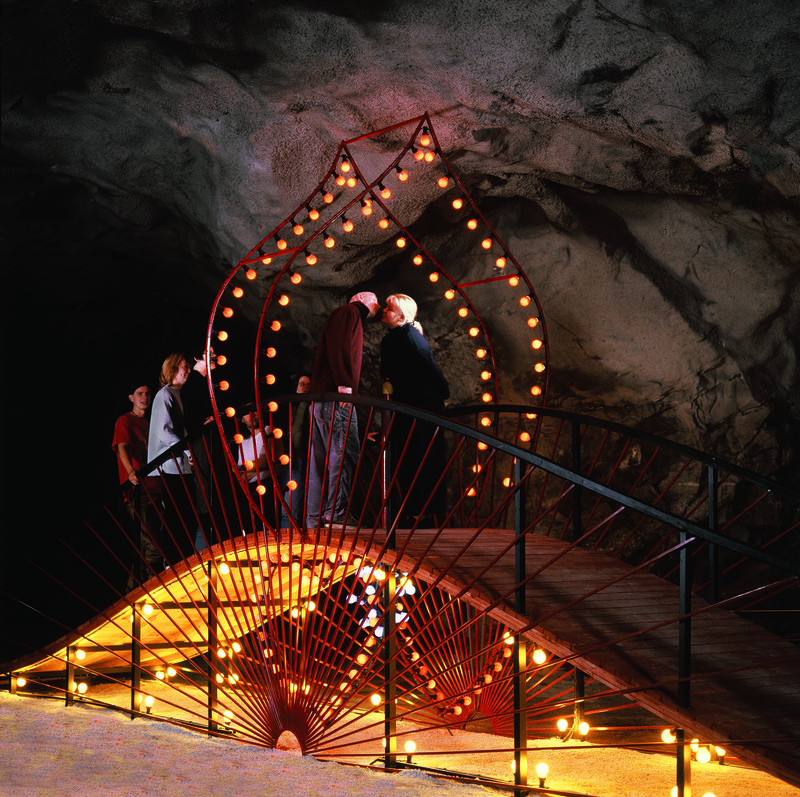 The Kissing Bridge was part of the Retretti Art Center’s summer 2001 exhibition program. 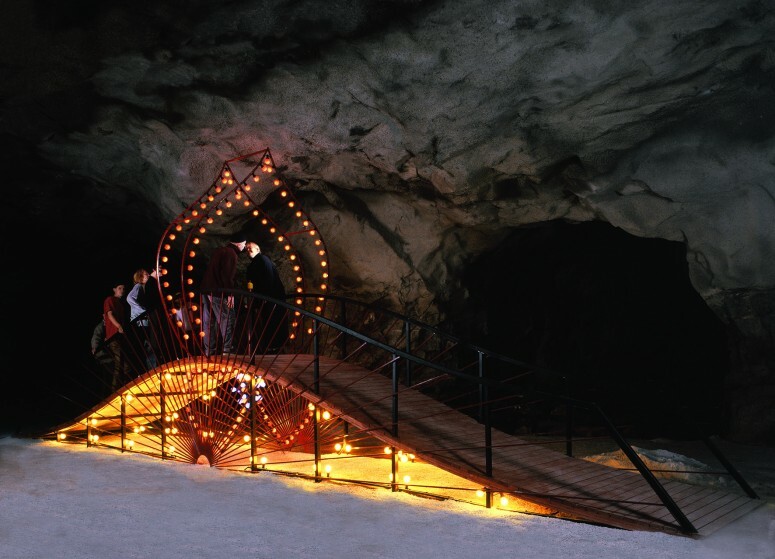 The bridge installation was built in the Retretti caves, where large spaces for showing contemporary art have been made into the Finnish rock. 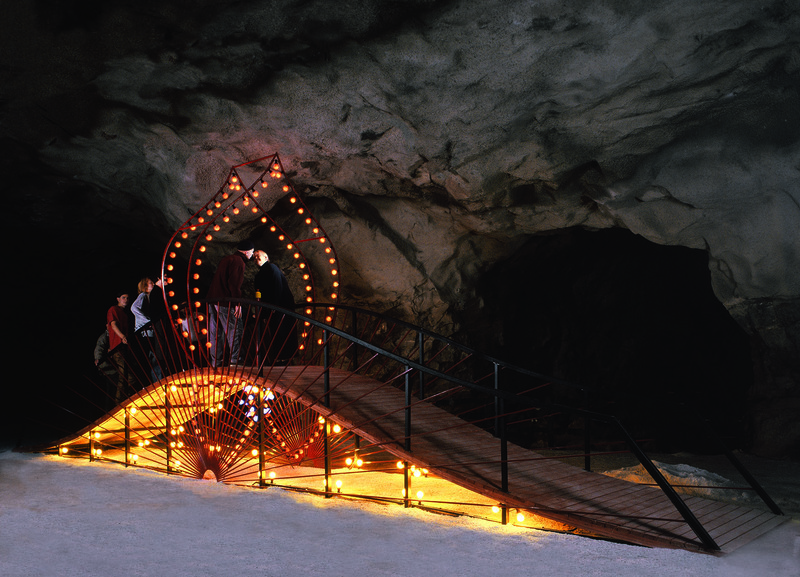 It is a part of a series of works by Andersson aimed at spreading the feeling of ”love is all around you” into a world. 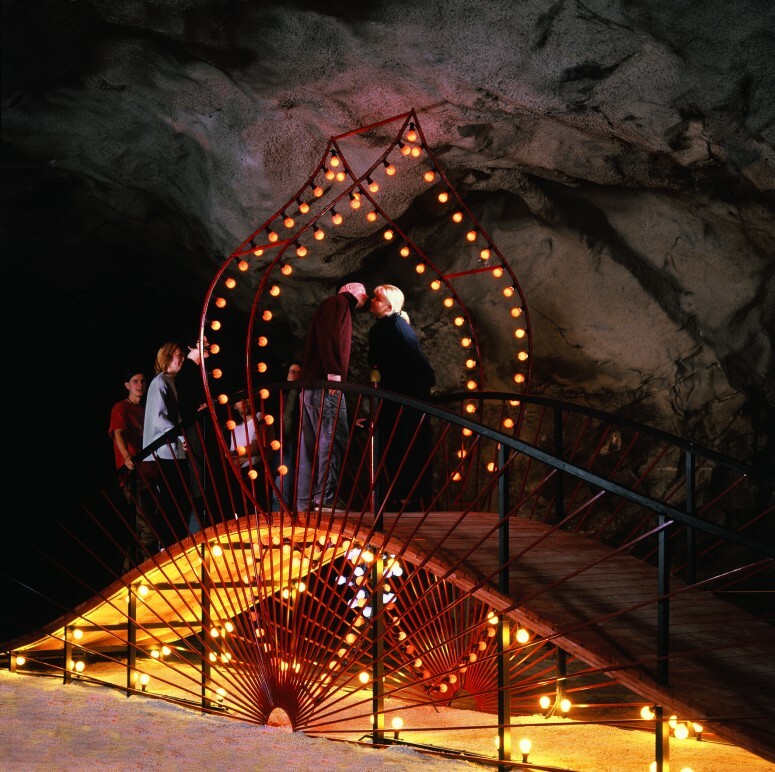 At the Retretti info desk there were two computers, from which visitors could find their own kiss and e-mail it to himself or herself or to a friend.